Given that the Nikon D3S is an upgraded version of Nikon's flagship D3, much of the functionality is the same between the two cameras. There is one major difference, however, in that the D3S is Nikon's first full-frame dSLR that can shoot video. Video producers are discovering that video-enabled digital SLR cameras are an inexpensive way to get a very "film-like" look, and these cameras are entering the production mainstream to shoot everything from commercials, television programs, and even feature films. Video Formats. The first thing worth noting about Nikon's implementation of video capture is that it is capable of shooting video at 24 frames per second -- period. So, filmmakers who are looking for that elusive "film-like" look need look no further; but it's worth noting that the camera can't be switched to the standard that is used in conventional broadcast television: 29.97 frames per second (fps). Fortunately, most video editing programs can convert 24 fps into 29.97 fps, with the viewer none the wiser. The film-like look: Nikon D3S with Nikkor 105mm f/2 DC lens, set to f/2. Download original 22MB AVI file. The Nikon D3S can shoot HD-quality video, though it is limited to the 720p format, instead of the larger 1080p format. In this mode, the Nikon D3S can shoot 5 minutes of video. In either of the two smaller modes, the Nikon D3S can shoot up to 20 minutes of video. The camera lets you select the destination slot for recording videos. How much video can I shoot? Nowhere in the Nikon D3S manual will you find a chart showing how much video can be stored on a given CompactFlash card, though the camera does tell you approximately how much recording time you have space for on your currently installed card(s). Videos are encoded with a compression standard called Motion JPEG or M-JPEG, which is essentially a string of JPEG images for each frame of the video. Accordingly, the size of the video relates to how easily each frame can be compressed. A video of a white wall takes up very little space at all, while something extremely complicated will take up much more space. This is known as a variable compression scheme: it's unlikely that any two recordings, while sharing the same length of time, will share the same file size. While optimizing the amount of space on the CompactFlash card, this can be a bit misleading in terms of how much space is available for video recording on a given flash card. After doing some testing, the following table sets out the length of one-minute recordings at various quality levels and scenes. In these tables, "Pure white" refers to just that: a continuous shot of a white wall. "Static scene" refers to a continuous shot of a living room scene, where nothing moved in the shot. "Constant" refers to constant motion, where the camera was continuously moved in a random pattern for the duration of the minute. And "Complex" refers to a static shot of complex test pattern. So while it's not a definitive answer, that might provide some rough guidance when planning your shoot. Audio. In contrast to video recording, the Nikon D3S records audio as an uncompressed 16-bit stereo PCM file with a 44,100 Hz sampling rate, and a fixed bitrate of 1,411 kbps. This audio format is used regardless of whether the video quality is set to full 720p HD, 640x424 or 320x216. An internal mic is available for sound recording, but better sound quality can be obtained by plugging in an external microphone to a 3.5mm stereo jack. Sound is played back through an internal speaker. Nikon has included one option for modifying sound recording, by letting the user select the sensitivity of the microphone. Options range from turning the microphone off to completely automatic sensitivity control; the Nikon D3S can also be set to use low, medium, or high sensitivity, which controls the loudness level at which the mic will pick up and record sound. For high-level application, what is really missing is levels control. There is no way to monitor the strength of the audio being recorded, either visually with a VU meter, or by plugging in a set of earphones and being able to "tune in" to what is being recorded. A word to the wise: plugging in a set of earphones to the A/V out jack will not accomplish this; quite the opposite, it will give you an earful of buzz. For casual use, automatic sensitivity control does an excellent job, and the ability to raise or lower the sensitivity is better than nothing. But for critical scenarios, expect to be doing a fair amount of dumping to the laptop and listening to takes, to ensure the audio was captured correctly -- or consider finding a secondary audio recording device. Controls. 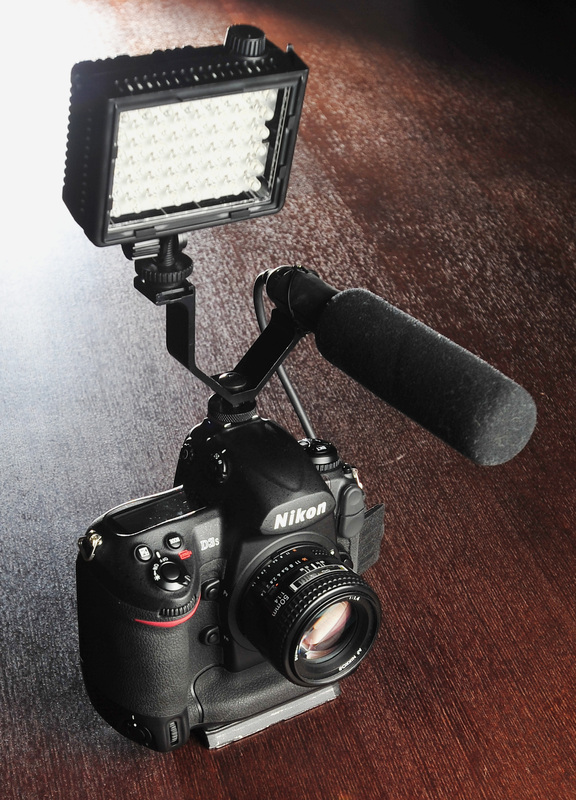 Videos are recorded on the Nikon D3S by engaging the Live view mode, causing the scene to appear on the LCD. Pressing either the front upper function button (Pv) or the central button in the multi-selector pad starts and stops video recording. If recording in 1280x720 mode, bands on the top and bottom of the LCD screen mask out the portion of the scene that is not recorded. 16:9. 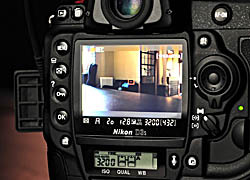 The Nikon D3S LCD screen in 1280x720 mode, with the top and bottom of the screen masked out. The Nikon D3S shows its roots as a digital SLR camera, and no fundamental ergonomic changes have been made to make it handle like a traditional camcorder. A plethora of third-party solutions have arisen to allow video-enabled dSLR cameras to be used more like shoulder-mount camcorders, and for good reason: it's hard to hold a dSLR still for a reasonable length of time. In addition, while the Nikon D3S can autofocus during video recording, its ability to do so is mediocre at best, and of extremely limited usefulness to videographers. In practice I found it much more effective to prefocus before shooting, and then manually focus as required. In a photographic situation, one of the tasks of the photographer is to achieve the right combination of aperture, shutter speed and ISO that results in a properly exposed photograph (or at least, one that's exposed to the satisfaction of the photographer). It's the same scenario in a video context, except that instead of juggling those variables for a single instant in time, the shooter must be able to adjust at least one of those variables at any given moment to be able to respond to changing light levels. This is known generally as exposure control. Exposure control. In this example I simply pointed the camera from a dim interior wall (f/32, ISO ~10,000) to a brighter exterior view (f/32, ISO ~1,000). It took the automatic gain control of the Nikon D3S about one second to do the 3-stop transition. In the default configuration of the Nikon D3S, exposure control is handled solely by the camera, using ISO speed as the variable to create a properly exposed image. 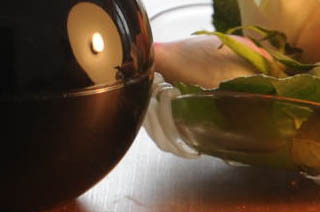 While the user has control over the aperture to control depth-of-field, and control over shutter speed to restrict subject blurring, ISO is used (again, by default) to ensure that the image is properly exposed. In Live view, it is possible to override these automatic settings by engaging the exposure preview mode (by pressing the "OK" button). This function superimposes the exposure compensation spectrum on the LCD's live view, and to some degree disengages the automatic functionality of the program. In Manual mode, the user may select whichever ISO setting they desire. In Program, Shutter, and Aperture-priority modes, the user can press the Autoexposure Lock (AE-L) button to commit the camera to a given exposure setting. In some cases this is desirable, and in some it is not; the camera's auto-ISO program has a wider fidelity than the user does, able to set extremely precise ISO settings (ISO 5600, anyone?) where the user is only able to set ISO settings in 1/3 EV increments. And, the adjustment requires both a button press and a dial rotation, both of which are liable to jar the camera while it's in use. Aperture control. Aperture can always be selected in Live view, before or during the recording of a movie. 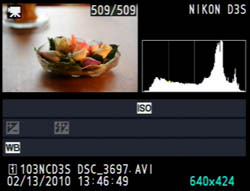 In this case the automatic gain program of the Nikon D3S is increasing the ISO speed to compensate for the smaller aperture setting. Aperture control. One of the primary advantages of shooting video on the Nikon D3S is being able to use fast primes to record scenes with extremely shallow depth of field. By comparison, conventional camcorders are limited to scenes with large depth of field owing to the relatively small image sensors they employ. On the Nikon D3S, the aperture can be selected at any time, whether video is being recorded or not; however, the transition from one aperture to another is both audible (there's a distinct click) and visible (an abrupt light change). While the audio may not be a factor if external mics are far away enough from the camera, the visual impact is jarring enough that it's noticeable, made potentially even more so by the physical movement of turning a command dial to effect the change. On conventional camcorders, iris adjustment is controlled by a smoother dial, and the aperture itself is stepless, making for a very smooth transition. In the short term this is just a factor that videographers will have to work around, but hopefully, in the future Nikon will add a suitable control interface that allows for more subtle changes in aperture. Shutter speed. The Nikon D3S also allows for the manual override of shutter speed. Of course, the whole notion of shutter speed is something of a fallacy in the act of video acquisition for this camera, as the shutter remains open through the entire process. 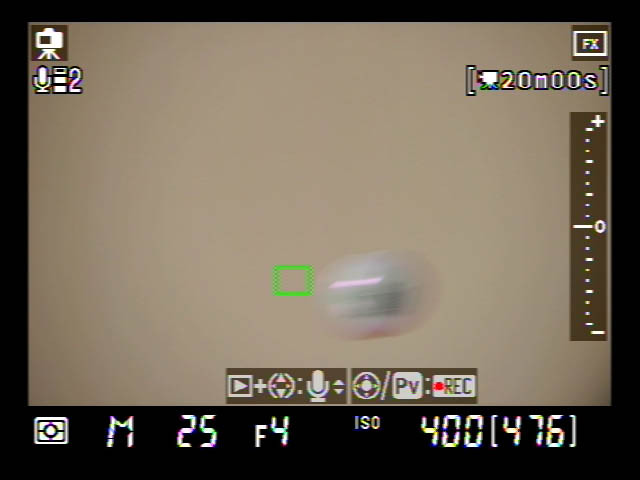 In this instance, shutter speed is more appropriately the length of time in which the sensor is active for the recording of any given frame of video. The practical impact of adjusting shutter speed is to decrease the amount of blur exhibited by a subject that is being recorded as it moves through the frame. The Nikon D3S instruction manual isn't clear on the subject, but you can adjust the shutter speed of video capture, either before or during the recording process. You can only do so if you have enabled exposure preview by pressing the "OK" button during Live View. The following video shows what happens when you adjust the shutter speed. To understand what's happening, we start with the idea that the Nikon D3S is recording video at 24 frames per second. As in still photography, if you don't use a fast enough shutter speed to photograph a moving object, it will be blurred. The shutter speed can be made faster on the Nikon D3S (having the side effect of lowering the overall exposure) to accomplish this objective, and it can also to a certain degree be made slower. Slowing the shutter speed to below 1/25s does not seem to have a practical impact, as the shutter speed can't exceed the frame rate. 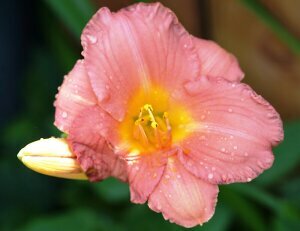 A shutter speed slower than 1/25s doesn't seem to add to the blur factor of a moving subject; rather, it acts as increased exposure compensation by boosting the ISO speed. However, the stated ISO doesn't change. The fact that the camera can choose an ISO speed that's different from what's displayed is a bit problematic for me. Hello Jello? The first generation of dSLR cameras with video recording functionality have been criticized for producing video where fast pans would distort the scene being recorded. The technical reason for this is beyond the scope of this review (if you'd like to read more about this phenomenon, you can read this article at Wikipedia). Nikon indicates that it has implemented a new algorithm to reduce the effect, and while it has not been completely eliminated, it has been significantly reduced. Rolling shutter comparison. Nikon D3S on the left, D90 on the right. At the one-minute mark, I picked up both cameras and wave them around, where you can really see the improvement. ISO control. The manual doesn't really say it, but full manual control is possible. ISO speed. For video acquisition, the natural state of the Nikon D3S is in an automatic ISO program. With the aperture and shutter speed as set constants, the camera uses ISO as a variable to even out the exposure according to what's required by the light meter. At first, I was extremely skeptical of this operation, as I am used to manually setting gain (ISO) when I use a camcorder and using the aperture or shutter speed to regulate the exposure. In practice however, I was extremely impressed with the functionality of this system. Changes in exposure are subtle and have a high degree of fidelity. If anything, the limiting factor is the camera's meter, which sometimes doesn't assess the scene correctly, and over- or under-exposes the subject you're after. At that point the camera can be fine-tuned to get the exact exposure scenario you're after, either by directly adjusting the ISO speed or dialing in some exposure control (up to three stops either way). Metering modes. The video recording mode of the Nikon D3S uses matrix metering, period. While you can select spot or center-weighted metering, the moment you enter Live view mode, the camera uses the matrix metering program. There is a slight visual discrepancy as Live view will show the selected metering mode in the lower right corner, yet this seems to be for visual reference only. EXIF? The Nikon D3S playback screen for video - no EXIF data here. EXIF data. While it's great that you can adjust the aperture, shutter speed and ISO speed variables for video recording, these useful pieces of data are not available in Playback. I find this unfortunate, as it's useful information, especially for someone learning the effects of those variables. I would imagine the technical reason for this omission would be that since it's possible to change any of those variables during video capture, there's no accurate way to track the variables, short of a text report recording what each setting was for each frame. For the most part, though, I doubt people will be changing aperture and shutter speed values because (at the moment) there's no graceful way to do it; you have to turn a dial, which makes a noise and jostles the camera. For that reason alone, I'd be satisfied with the video thumbnail showing me the aperture, shutter speed and ISO speed that were in use at the beginning of video acquisition. Will you need new CompactFlash cards? To shoot video with the Nikon D3S, we've already shown that you'll need to use CompactFlash cards with reasonable capacity. However, you don't necessarily need to shell out for the fastest cards; I used an old 40x 1GB card, and it recorded two minutes of full 720p HD video just fine. However, the video did not play back smoothly on the camera, dropping a few frames as it played, and going completely silent after four seconds. When the file was copied to the computer and played, it played just fine. In praise of VR lenses. Given that the form factor of a digital SLR camera does not naturally lend itself to the acquisition of video, anything that helps the shooter get a steady video is appreciated. Nikon's vibration reduction (VR) system is an optical image stabilization system, similar to those used in camcorders to counteract the movement of the camera during image acquisition. VR activates automatically when Live View is activated, and provides a very stable platform from which to shoot video. It's worth noting however that the internal mic on the Nikon D3S picks up the noise of a VR lens in use, so all the more reason to use an external microphone. Vibration Reduction. Nikon D3S w/ 70-200mm f/2.8, set to 200mm. D3S set to DX crop mode, making the shot effectively 300mm. That background noise you hear is the camera's microphone picking up the VR. No free lunch for DX mode. Many photographers make use of the DX mode on Nikon's FX camera bodies to get an extra 50% of "reach" with their lenses when required. While this is still possible in the Nikon D3S in a video context, it will bump you out of 720p mode and into 640x424 mode. This is true of any crop factor mode, be it DX, 5:4 or the new 1.2x mode. So you can use this feature to get that extra reach, but only if you're content with 640x424 or 320x216 modes. High-Sensitivity Movie Mode. As previously mentioned, the Nikon D3S uses the variable of ISO speed to regulate exposure, with aperture and shutter speed as constants. In regular usage, the Nikon D3S selects an ISO speed between 200 and 12,800 to properly expose the scene, based on the metering mode used by the shooter. If the scene is relatively dark, the shooter can engage the High-Sensitivity Movie Mode option, which increases the ISO limits. When activated, the Nikon D3S selects an ISO speed between 6,400 and 102,400 (HI-3). There is obviously a marked increase in noise, but with the camera downsampling the image from 12 megapixels to essentially a one megapixel image (1280 x 720), noise is really only evident at the very high ISO settings. In-camera processing. The Nikon D3S is able to apply picture controls during video acquisition, so you can shoot an image that is very saturated, or soft, or sharp, or monochromatic. By adding custom picture profiles, you can even emulate a specific tone curve. White balance can be adjusted, though automatic white balance is often right on. Active D-Lighting is not available, and neither is vignetting control. Furthermore, the Image Retouch menu options are not applicable to movie files; the only editing that can be done directly in the camera is to clip the start and end of a movie to produce a smaller file. You can also extract individual frames and save them as JPEGs. To help reduce flicker and banding when shooting under certain types of artificial lighting such as fluorescent or mercury vapor bulbs, the D3S has a Flicker Reduction frequency option in the Setup menu. The options are 50 or 60 Hz, to match your local AC power system. Video Output. The Nikon D3S supplies two methods of video output; both HDMI and regular composite video. Attaching the camera to an HD television with an HDMI cable will disable the LCD screen, making it very difficult to shoot video, unless you can balance an HDTV in your other hand. The regular composite video on the other hand, does not disable the LCD screen, allowing the use of portable field monitors. It's worth noting that the latest firmware update for the Nikon D3S (v.1.01) removes the option to use the on-camera LCD screen and an attached video monitor at the same time; attaching a video monitor will turn off the on-camera LCD. Conclusion. As a video recording device, the Nikon D3S is a developing technology. It's not perfect, but when you figure out how to use it, it's capable of producing some truly impressive visuals. Darrell Take 3 from Michael Prince on Vimeo. Home, sick. from Jordan Manley Photography on Vimeo. Nikon D3s - "Vancouver Through His Eyes" from deo studios on Vimeo. Nikon D3S "The Chase" - Re-Edit from Gero Breloer on Vimeo. The Rock Climber - Nikon D3S from Simon Carter on Vimeo. If you'd like to see even more videos created with the D3s on Vimeo, check out their Nikon D3s Vimeo Channel at: http://vimeo.com/channels/91953.